Sampooran Singh Kalra, or as fondly known as Gulzar surely needs no introduction! An eminent lyricist, director, and poet, his words have the power to take you to a divine land filled with compassion, bliss, and love. Born on August 18, 1934, in Dina, Jhelum District, British India which is now in Pakistan, Gulzar was then named as Sampooran Singh Kalra. Before he started weaving magic with his words, he used to work as a car mechanic in Mumbai. He had a thing for writing at a very young age and had started writing since and was often rebuked by his father for this. After he started writing, he took a pen name or an alias, Gulzar Deenvi and the rest is history! People across the world now know him as Gulzar. This iconic persona started his career as a songwriter with the renowned music director S. D. Burman for the movie Bandini. His first song was “Mora Gora Ang Layle”, which is still in vogue amongst the old song lovers. Gulzar Sahab has written songs for numerous hit Bollywood movies like Anand, Mere Apne, Mausam, Maachis, Omkara, Kaminey, Dil Se.., Guru, Slumdog Millionaire, Raavan, Bunty Aur Babli, to name a few. He has also written for a few movies like Anand, Ashirwaad, and Khamoshi. As for the TV series, he has been the dialogue writer and lyricist for hit TV series such as Jungle Book, Alice in Wonderland, Hello Zindagi, Guchche and Potli Baba Ki. A winner of 20 Filmfare awards to date, he has also been awarded Padma Bhushan in 2004 and the Sahitya Akademi Award in 2002. Furthermore, he has also been honored with the highest award of the Indian cinema, Dadasaheb Phalke Award in 2013. 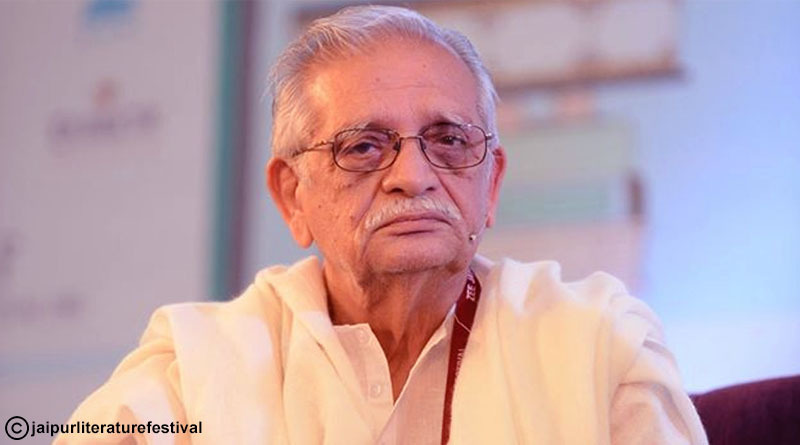 Interestingly, Gulzar has also won a Grammy Award in the category of Grammy Award for Best Song Written for a Motion Picture for his song “Jai Ho” from Slumdog Millionaire.